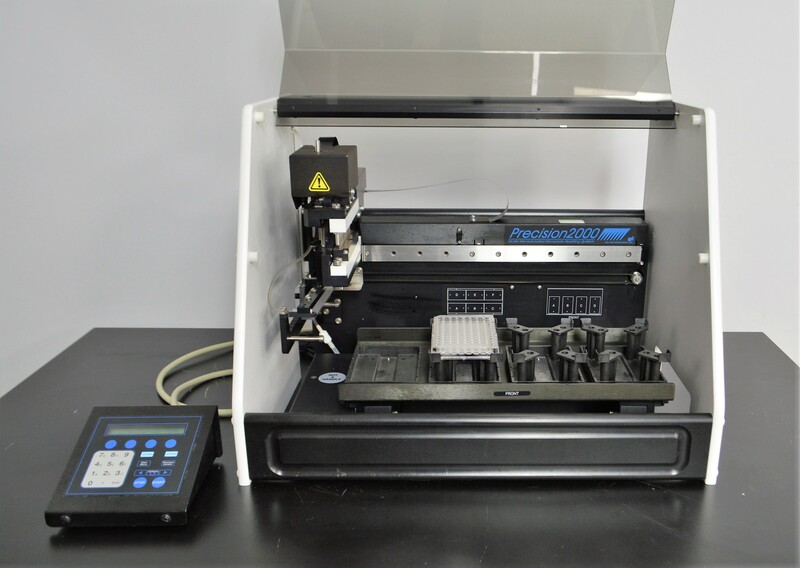 BioTek Precision 2000 Automated Pipetting Liquid Handler Microarray Sample Prep . New Life Scientific, Inc. Please note that this product ships in two boxes, requiring you to contact us for a custom shipping quote. The Precision 2000 automated pipettor is ideal dispensing solutions required for preparing microplates in research labs and diagnostic testing. * This instrument includes the controller and dust cover which ensures the user will maintain control of the dispensing head while reducing the potential of external contamination. The technician tested the Precision 2000 with the keypad controller, instructing it to initialize and complete the priming sequence. The head features a twelve channel and the controller The dispensing head and robotics jogged on the X-Y axes.